A new study links wheat and gluten consumption to weight gain and type 1 diabetes, confirming an already extensive body of research already establishing this connection. Groundbreaking new research published in the Journal of the Medical Association of Thailand found that curcumin, the primary polyphenol in turmeric, is capable of repairing and even regenerating the liver tissues of diabetic rats. Ginger has been studied to have value in over 150 health conditions with type 2 diabetes top of the list. With anti-diabetic drugs linked to increased cardiovascular mortality, natural alternatives are needed now more than ever. Almost everyone has heard of chia thanks to the popularity of Chia Pets, those fuzzy clay animals and people that sprout bright green fur and hair. But recently, the seeds of the chia plant have been rediscovered and popularized as a superfood that should definitely be a daily part of every healthy diet. With the prevalence of type 2 diabetes expanding rapidly on a global scale, safe, natural, affordable and effective solutions are needed more than ever. Hypertension or high blood pressure is common among those who are prediabetic or have type-2 diabetics. Now this famously common spice has been proven to reduce hypertension - in addition to balancing blood glucose levels. With the cholesterol-lowering class of drugs known as statins being widely promoted for the primary prevention of cardiovascular disease, despite their having over 300 documented adverse health effects (including heart failure! ), how does chocolate sound as a viable, heart-friendly alternative? Danish hospital researchers have proven that the typical recommendation among conventional doctors and nutritionists to type 2 diabetics to lay off the fruit is quite simply wrong. Most of you have probably heard about Apple Cider Vinegar (ACV), however, did you know that it has been used for many hundreds, if not thousands of years. In fact, Hippocrates (the father of medicine) used AVC back in around 400 B.C. for its health giving qualities. Why does coffee seem to lower diabetes risk? Is it the caffeine? Researchers from China's State Agriculture Ministry and Zhejiang University have determined that two ingredients commonly found in many citrus fruits, naringin and neohesperidin, will effectively reduce blood sugar. 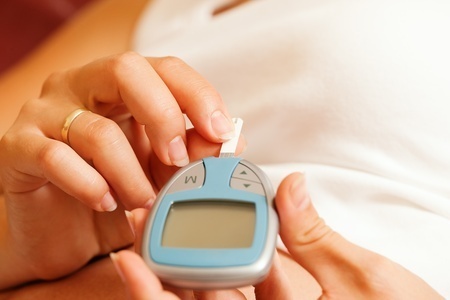 The research is quite clear – oral medications to treat type 2 diabetes do not alter the long-term progression of the disease. While these drugs can be quite effective in the short term, several different types are associated with increased all cause mortality and in particular an increased risk for dying due to cardiovascular disease.